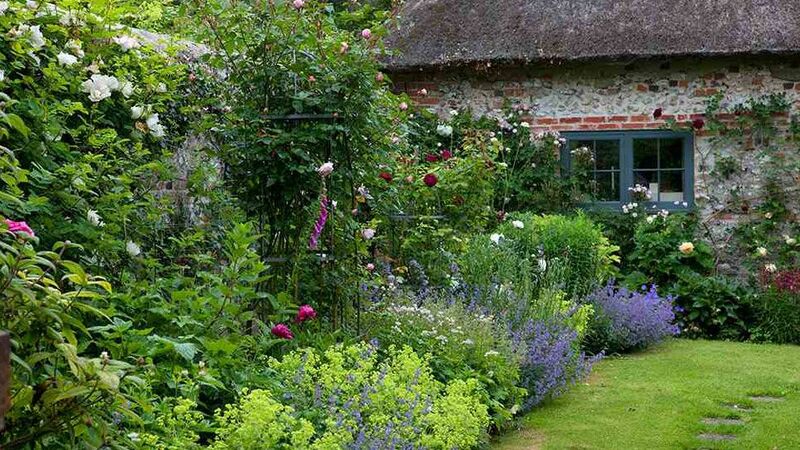 I am an absolute fan of cottage gardens and takes all opportunities to check out other peoples cottage garden planning tips and ideas. The old-fashioned flower beds and charming “shabby” look at the garden make me feel at home. The cottage style also takes a little bit of pressure of my gardening ambitions. Not that I do not need to weed a cottage garden, but it is easier to maintain a garden like that…you do not need to be so particular about everything that does not look that perfect. At least, that is mine definition of a cottage garden…..
Cottage gardens are all about the flowers, so fill your beds and borders. Many of the popular plants are easily propagated from seed, cuttings or division, so you can fill your garden cheaply. By using seed heads you will add aesthetic interest to the borders, with the added benefit that they will seed around. Keep plants under control, so that stronger growers don’t swamp the smaller or slower-growing varieties. A discreetly placed piece of soft twine generally helps to keep the stronger ones under control. As a feature in a small garden, a mirror can be very effective. My favourite plants include: Astrantia major – grows anywhere, is good as a cut flower and is great in any border; Erigeron ‘Profusion’ – the name says it all, it provides a non-stop display of small daisy flowers; Anemone x hybrida ‘Honorine Jobert’ – enjoy a late season burst of colour from the tall, white flowers. Who Does not Long For Cozy Garden Like This…?